The University of North Carolina ranking is joint 35th in the USA and 37th in the world on the University Review College Ranking List. It is ranked as the 30th best college in the states by the USnews, and the 50th best by Forbes. The University of North Carolina tuition fees are $8,347 for in-state and $33,624 for out of state students. It is a very selective college accepting 26.7% of applicants. Financial aid offered totals $117.5 million per year, an average of $16,720 per student. SAT scores for admission requirements (25th-75th percentile) are Math 610 – 710, Reading 590 – 700, and writing 590 – 690. The total composite SAT Score range for accepted applicants is 1200 to 1410. The requirements for ACT (25th-75th percentile) are Composite 28 – 32, English 26 – 33, Math 26 – 32, and Writing 8 – 9. The University of North Carolina at Chapel Hill (UNC) is located in the USA and was founded in 1789 as a public institution having been proposed by North Carolina General Assembly. Photograph of the UNC Planetarium and Science Center by mystuart. It is the oldest public institution in the united states. It is situated in a campus of around 729 acres in Chapel hill. There are around 16,700 undergraduate students and approximately 10,500 postgraduate scholars, in addition to the 9,300 staff and faculty. The university of North Carolina at chapel hill, NC has an endowment of 1.7 billion US dollars.The chancellor is James Moeser. The schools mascot is Rameses the Ram. The libraries have a collection of over 5.6 million bound volumes. 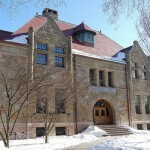 It is a member of the public ivies Association, and is considered to be among the best research universities in the USA. 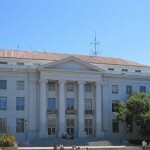 As it is one of the Public Ivies, the education offered is similar to found at places like UCD, University of Virginia, University of Florida, and UCI. Other colleges in NC State include Wake Forest University, North Carolina State University, and Duke University. Motto: Lux Libertas (Light Liberty). The university is ranked as the 43rd best in the world by the THE. University of North Carolina; North Carolina Colleges List.